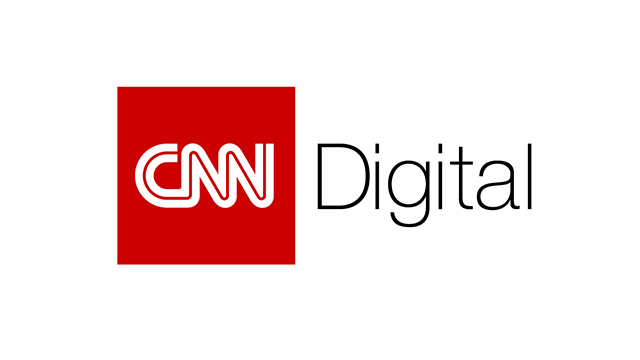 CNN Digital remained the nation’s #1 digital news source in March 2018, reaching a wider audience than any competitor across measurements including multiplatform visitors, mobile visitors, video starts, millennial audience and social reach. March also saw a record high number of multiplatform digital video starts, and marked the three year point for CNN Politics at #1. With its 22nd straight month on top, CNN Digital again reached more people than any other news source in March 2018. CNN outranked its closest competitor, The Washington Post, by 31 million unique visitors across platforms. Source: comScore Multi-Platform Media Metrix, March 2018. Based on CNN Brand entity compared to a custom list of single brand competitors in the News/Information Category. CNN saw a record-high 513 million multiplatofrm video starts in March 2018, continuing its streak on top with the 34th straight month as the #1 producer of news video, CNN topped all competitors in digital video – nearly triple the starts of third place Fox News. Source: comScore Multi-Platform Video Media Metrix, March 2018. Based on CNN Brand entity compared to a custom list of single brand competitors in the News/Information Category. With 95 million mobile unique visitors, CNN’s mobile reach surpassed every other news provider in March, including 22 million more mobile users than second-place Washington Post and nearly 25 million more than third-place New York Times. Source: comScore Mobile Metrix, March 2018. Based on CNN Brand entity compared to a custom list of single brand competitors in the News/Information Category. CNN closed the first quarter of 2018 with more millennial users than any other news source. CNN outpaced all competitors with 33 million multiplatform visitors between the ages of 18-34. Source: comScore Multiplatform Media Metrix, March 2018. Based on CNN Brand entity compared to a custom list of single brand competitors in the News/Information Category; Persons: 18-34. March of 2018 marked the three-year point for CNN Politics as the #1 destination for political news. Since the first person declared their candidacy for the 2016 ticket in March of 2015, the CNN Politics team has outpaced competitors in breaking news and analysis. With 41 million multiplatform unique visitors in March – a 25% growth vs. the prior year – 33 million mobile unique visitors, 309 mm multiplatform views and 97 mm multiplatform video starts, they extended their streak once again. Source: comScore Multi-Platform Media Metrix, March 2018; Based on News/Information – Politics Category. CNN Politics has been #1 in the competitive rank in video and multiplatform views since March of 2015. Sources: Shareablee, March 2018. Brands included in comparison are CNN, Fox News, MSNBC, The New York Times, HuffPost, The Wall Street Journal, The Washington Post, BBC News, BuzzFeed, ABC News, NPR, Mashable, The Daily Mail, NowThis, AJ+, Al Jazeera English, NBC News, CBS News, HLN, and Yahoo News. Facebook main accounts for CNN are CNN and CNN International. Twitter main accounts for CNN are @CNN and @CNNBRK. Instagram for CNN includes flagship account only.